Best in Class Makes the End of the School Year a Triumph! It’s the most wonderful time of the year! Yes, we realize that the holiday season is over. What we’re talking about is the end of the school year. For many people, it’s when a year of hard work and dedication becomes personified by a graduation or move to the next grade level. In celebration of this joyous occasion, we’d like to share some stories of our Best in Class centers. Because of the passion and devotion of staff, management, owners, parents and, of course, the kids, Best in Class is on track to become one of the top franchises in the nation! I just wanted to share what Darsh received from school today. Best In Class has definitely improved Darsh’s performance overall in school. I often come to you when there is an issue, but I believe that it’s always good to share positive comments also. Darsh’s vocabulary and writing skills have improved tremendously and it’s all because of Best In Class. He seems to be doing much better with J level and his timing has improved also. Once again all of you play a major role in Darsh’s education and thank you for all you do. Bothell is another location that has discovered how rewarding the education franchise industry is. As management explains, for some kids, social reluctance was an issue when they initially came to the center. In fact, a few even cried every day. However, through the guidance of Best in Class teachers and methods, these same students quickly became extroverted and involved. The top franchises give students the confidence necessary to set them up for success. In addition, several kids came into the Bothell program because they were falling behind and not meeting grade standards. After working with Best in Class instructors, the kids’ skills and test scores improved. Usually, it’s just the best franchises that have the ability to teach a student a concept and have him or her effectively put it into practice in school. Even a preschooler who didn’t know how to write numbers or words is now attending a prestigious kindergarten where he is solving multiplication and division problems. All of this has allowed the Bothell to experience impressive growth as an education franchise; they now operate six days a week instead of three! The Seattle center is also a reason why the Best in Class has made its way onto several top franchises lists. Recently, a mother was proud to let staff know that her second grader was accepted into the Highly Capable Cohort program through Seattle Public Schools, which is designated for advanced students. Only the best franchises can inspire kids to reach goals such as this. Moreover, another student who is already in the HCC program was excited to reveal that Best in Class motivated her to take on the role as a go-to Reading and Math helper when her teacher is out and a substitute needs assistance. The accomplishments don’t end there for Seattle. This year, a five-year-old student made it to Level 3 for Best in Class Math enrichment and he hasn’t even started kindergarten! The top franchises encourage students of any age and level to excel above the rest. Additionally, one Best in Class participant was ecstatic to be selected for an advanced Math and English program. She told instructors that she often learns concepts through the Best in Class education franchise first, so it’s easy to tackle assignments and tests when her school eventually introduces the lessons to the class. 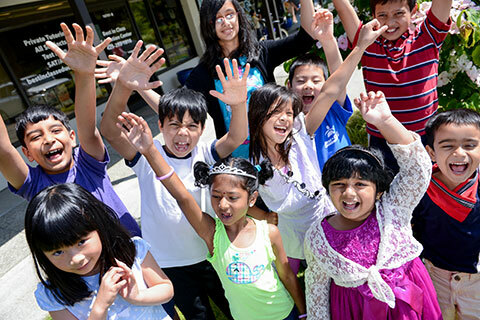 Kudos to Seattle for helping kids to academically rise above their classmates! These are just a few of the many wins that Best in Class has experienced over the last year. We are working to become one of the top franchises by building better teachers who build successful students. For this reason, our franchisees are able to inspire whole communities of kids and parents while securing a future for themselves and their families! Are you interested in becoming a part of something special that can positively change your life as well as the lives of others? Come see how a Best in Class education franchisecan get you started on a path to fulfillment and success!